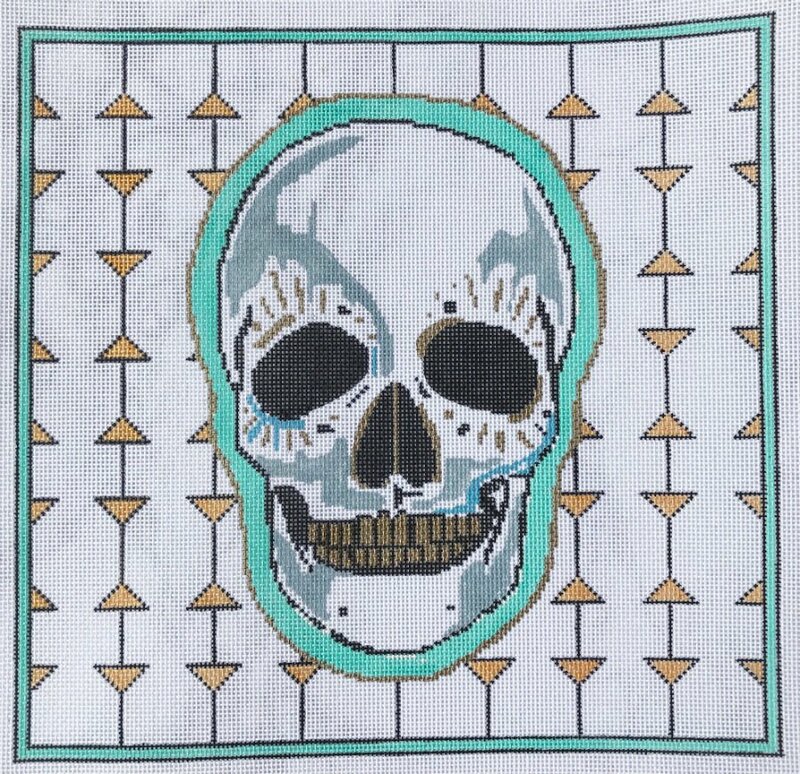 A Festival Skull needlepoint canvas from the design house of Thorn Alexander featuring a quite creepy looking skull on an abstract background. The design area measures 13" x 13" and is hand-painted onto 13 mesh mono canvas. Each stitch is painted a specific color to make this the perfect choice of an easy needlepoint for a beginner. If you would like to mount your canvas onto stretcher bars to keep it taut while stitching (optional) we recommend two pair of 17" stretcher bars and thumb tacks.